We must “recognise the myriad of influences on what makes us sick and what makes us healthy” began Professor Dame Anne Johnson, welcoming attendees to this symposium at the UCL Great Ormond Street Institute of Child Health. Professor Dame Johnson pointed to UCL’s history of pioneering and expanding a transdisciplinary approach, emphasising the role of preventative measures and the need to provide research that can be used by policy-makers. Professor Michael Davies and Professor David Osrin, presenting the keynote session, discussed the need to understand the interactions between ‘soft’ (economic and social) and ‘hard’ (engineered) urban systems, in order to tackle the multiple challenges arising from globalisation. Professor Osrin highlighted community participation in Mumbai, where he has been based since 2004: community women’s groups there who discussed issues, came up with solutions and implemented them achieved a 30% reduction in rural newborn deaths. We heard extensively from early and mid-career researchers. Dr Evangelia Chrysikou described her work in exploring the exteriors of mental health facilities in Camden and the effects of these on stigmatisation. Dr Jens Kandt spoke about his research classifying neighbourhoods by multiple characteristics to develop an integrated perspective on urban health; and Marios Poullas described his study into the effects of El Nino Southern Oscillation on public health in India. Andrew Eland, Engineering Director of Artificial Intelligence company DeepMind, began with the potential of digital tools in health innovations. He had many insights into the use of deep learning to improve the efficiency of hospitals, which would not be possible with cumbersome paper medical files. He also spoke of the concurrent need to gain public trust in use of data through greater security and transparency. Three early career researchers spoke next on the future of digital health. Maximilian Kerz, who created a smartphone app to identify early psychosis relapse signs, noted that 85% of the general population in the UK own a smartphone, highlighting the device’s suitability in enabling better health. Polina Brangel has developed a smartphone-based point of care test, allowing for detection and surveillance of Ebola virus survivors. This technology has immense potential to meet unmet need due to its portability and abilities in geological tagging. Dr Jo Gibbs highlighted an innovative eSexual Health Clinic System for STI diagnosis, management and prevention, and whether this sytem can be used for infections such as HIV. Antimicrobial resistance is one of the most significant threats to global health today, claiming approximately 700,000 lives a year worldwide. Professor Sharon Peacock introduced her work on whole genome sequencing to track antibiotic resistant genes and resistant organisms in a variety of environments, shedding light on whether extensive antibiotic use in agriculture is contributing to antibiotic resistance in humans. Early career researcher Harriet Glidden presented a genetic approach using nanomaterials to design a diagnostic test for Tuberculosis (TB) based on the detection of specific RNA species. Monica Muzslay highlighted the prevalence of ESBL producing bacteria (which lead to antibiotic resistance) in a hospital setting. These bacteria were found most often in handwash basins, despite infection control guidelines, indicating that they possess survival strategies that allow them to persist. Lastly Patrick Rockenschaub evaluated whether the linkage of patient diagnoses and dispensing data could help to assess the impact of stewardship programmes aiming to curb inappropriate antibiotic prescribing. The final two sessions involved public health practitioners, policy-makers, researchers and research funders. 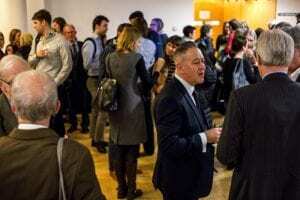 Leading figures from organisations including the NHS, the Department of Health, Public Health England, NIHR, Wellcome Trust, EPSRC, ESRC and MRC provided guidance both on securing funding for multidisciplinary research and translating excellent research into improved policy. Dr Helen Walters discussed the need for research connections to be made systematically, so progress is not by chance. Following on the theme of the practicality of smartphones, she recalled an idea suggested to her of a “tinder for researchers”! An excellent first UCL Populations and Lifelong Health Symposium concluded with the announcement of the poster competition winner and runner-up: Dr Jemima Stockton and Dr Zisis Kozlakidis respectively. Polina Brangel was awarded best presentation for her smartphone-based Ebola test. Professor David Price, UCL Vice-Provost (Research) also introduced the winners of the UCL Excellence in Health Research Prize, which supports research activity and career development of UCL early career researchers working in populations and lifelong health. Runner-up prizes were awarded to Annie Herbert and Dr Annapoorna Kuppuswamy, while first prize went to Dr Robert Aldridge for his paper on tuberculosis in migrants to England, Wales, and Northern Ireland’. The work highlighted the extremely low level of tuberculosis entering the country through migration. 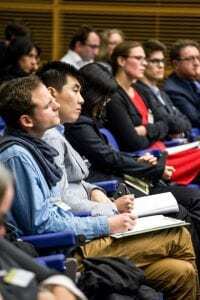 The symposium was a resounding success and demonstrated once again UCL’s expertise in bringing together eclectic voices from research, policy, practice and funding to accelerate development.